Simple Pagination is the matter of showing limited data in a particular page, here i'm using Jquery, php, mysql. if we have more number of data in a single page, we just make it to show a particular data in a page. for that we are using this pagination. just know how the pagination works and know some of the details about pagination and how to make it without page refreshing, let see the tutorial. 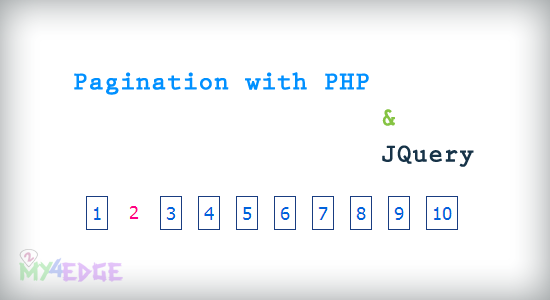 in this pagination system, we just use three things Jquery,PHP, and mysql database, and here we see what are all needed for this pagination system. the above all files are needed to run this pagination. include the database file, and assign the number of data have to view in the page. then follow the below code. the script is comes under in the page of index or where you need it. just call the script with as what have you assigned in the page, make it for as the coding is given by you. first add the database file, and assign the number, how many data have to view in page. then select the table to fetch the data. make as you need for you design with the CSS. try this code. see the demo. sir how can i control the number of link to be displayed in the li based on the database records? nice but when we go to second page serial number doest n't change. still 1 and 2 are there for all page. please check it.